With the final episode of Downton Abbey airing March 6, Classical 91.5 is pleased to present Roaring through the '20s at Downton Abbey on Wednesday, March 2, 2016 at 12 p.m. 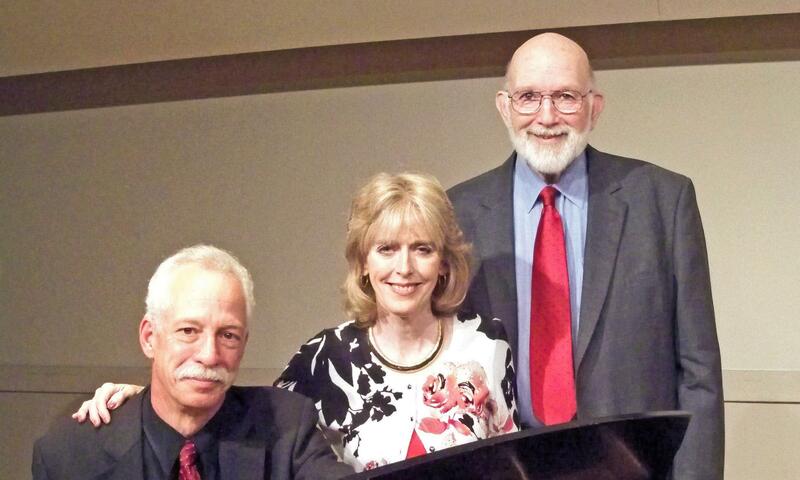 Recorded live on January 3, 2016 at Asbury First United Methodist Church, Fascinatin’ Rhythm host Michael Lasser presents a program of music from the era of Downton Abbey with special guests soprano Cindy Miller and baritone and pianist Alan Jones. Their set list includes music from the '20s and '30s, including My Troubles Are Over (Monaco, Leslie, 1928), Makin’ Whoopee (Donaldson, Kahn, Whoopee, 1928), I’ve Made a Habit of You (Schwartz, Dietz, The Little Show, 1929), and Ain’t She Sweet? (Ager, Yellen, 1927). Michael Lasser is a lecturer, writer, broadcaster, critic, and teacher. He is the author of America’s Songs II: From the 1890s to the Post-War Years (2013) and, with Philip Furia, America’s Songs: The Stories Behind the Songs of Broadway, Hollywood and Tin Pan Alley (2006). Since 1980, he has been the host of the nationally syndicated public radio show, Fascinatin’ Rhythm, winner of a 1994 Peabody Award. A graduate of Dartmouth College, he is the former theater critic forThe Rochester Democrat & Chronicle and for more than 30 years has spoken at museums and universities around the country. In 2010, he was named a Thomas P. Johnson Distinguished Visiting Scholar at Rollins College. He is currently at work on another book, The City’s Clamor and the Great American Songbook, 1900-1950. Cindy Miller will warm up on arias and then sing jazz – or whatever else you need. She sings every kind of song, and does it with wit, warmth, and conviction. Her engagements have ranged from intimate clubs to stadiums. She performs regularly with the Gap Mangione Big Band, and has appeared with the Benny Goodman Tribute Band, the Utica Symphony Orchestra, the Rochester Philharmonic Orchestra, and the Central New York Jazz Ensemble. She is a graduate of Nazareth College and received her master’s from the Eastman School of Music. She performed at the George Eastman Museum when actress Meryl Streep received the George Eastman Award for Distinguished Contribution to the Art of Film, appeared at the New York State Fair Celebration 2000 and was guest soloist at the 2004 International Marine Tattoo. New York City appearances include The Blue Note with Gap and Chuck Mangione, and Danny's Skylight Room with her own cabaret act. She receives rave revues for her cabaret acts and recently released her own CD, Love You Madly. Alan Jones, singer and piano player extraordinaire, is best known as a cabaret performer. He and his long-time musical partner, Phyl Contestable, have been guest artists with the Rochester Philharmonic Orchestra and the Brockport Symphony. Together they have been the opening act for Bill Cosby, Rich Little, and Jackie Mason. They have entertained at many resorts and hotels including Trump’s Castle in Atlantic City, The Concord Hotel, and The Royal York in Toronto. Jones and Contestable also performed a series of concerts for the Ryder Cup in Rochester, NY, in 1995. They have released two recordings and continue to be among Western New York’s most popular entertainers. Jones is a graduate of The Capital University Conservatory of Music and earned a Master’s degree from The Eastman School of Music. His work as an educator, songwriter, arranger, and performer has gained him inclusion in Who’s Who of American Teachers.